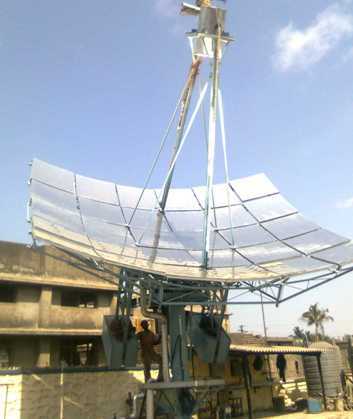 Clique Solar is jointly promoted by Clique Consultants Private Limited and Rohan Builders (India) Private Limited. Clique Consultants was established in 1987 with the object of providing quality engineering services. The company has already served a spectrum of industry houses and leading engineering consultants in the field. Since inception, the watchword of the firm is on technology absorption/up-gradation, respect for quality, commitment and total client satisfaction. CCPL has been promoted by Mr. Ashok Paranjape, an IIT-B alumnus with experience in design engineering in civil, structural and architectural areas of various projects, and Mr. Dhanji Senjalia, also an IIT-B alumnus, and highly experienced in construction and project management as well as execution of turnkey projects. With a turnover of over Rs. 1000 crores, ROHAN is one of India’s leading players in the real estate, civil construction and infrastructure development industry. The industrial contracting operations span over 23 states across India. ROHAN caters to a range of specialties from Engineering to Food and Beverages, Oil &Chemical to Warehousing, Solid Waste to Hospitality, Foundry to Healthcare, and Steel to Automobile. ROHAN is renowned for its quality, timely completion and adherence to best safety practices amongst its elite clientele which includes Hindalco, Saint Gobain, Tata Steel, Bluescope, Coca Cola, Hindustan Unilever, and many more. Its residential projects in Pune and Bangalore are arguably some of the landmark projects in these cities. ROHAN is reputed for its unique building designs, innovative marketing and best consumer practices. B.Tech. First Class graduate from Indian Institute of Technology, Mumbai of 1978 batch with 1 year course in software technology conducted by NCST in 1982 and a short term course in piping from IIT, CAD center in 1992. Professional experience since 1978 on the design of various industrial and infra-structural projects. Well versed in engineering large projects using the latest software and design aids. Experience in heading a team of engineering professionals to successfully complete the design engineering in civil, structural and architectural areas of any project. Experience in the design of bulk material handling projects, Machine foundations with static and dynamic loading, pre-stressed, precast, RCC bridges, and expressways. Ability to coordinate the activities of design wing with field staff, trouble shooting of site problems. Experience in the profession of Mechanical and Energy related engineering since 1995 and in research and teaching in IIT-Bombay since 2001. 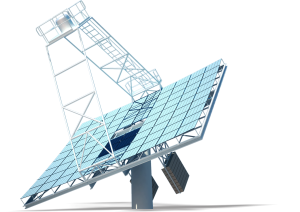 Exceptionally experienced in research, design, construction and project management of various aspects of concentrating solar collectors including optics, mechanical designing, thermal design, system integration, installation, commissioning, testing and operation as well as of many other renewable energy devices. Capable of handling research issues, interaction between design office, with a flair for meeting engineering challenges involving multi-disciplinary activities.